Mayor John Tory is defending the revised bike lane plan coming to city council next week, saying it represents a "historic" boost to cyclists in Toronto. The plan calls for increased funding for new bike lanes, but won't look at installing them on major arterial roads. Mayor John Tory is calling the cycling proposal coming to city council "historic," saying it will double the amount of funding that goes into new bike lanes over the next 10 years. The proposal is based on a report put together by municipal staff, and calls for $16 million a year to go to new cycling infrastructure. If fully implemented, it would add about 525 kilometres of new bike lanes to the city. The original staff report also recommended that the city look more closely at putting bike lanes on eight major arterial roads, including Yonge Street and Kingston Road — something cycling advocates have been requesting for years. That recommendation got stripped out of the plan a couple of weeks ago, when it came to the city's Public Works and Infrastructure Committee. 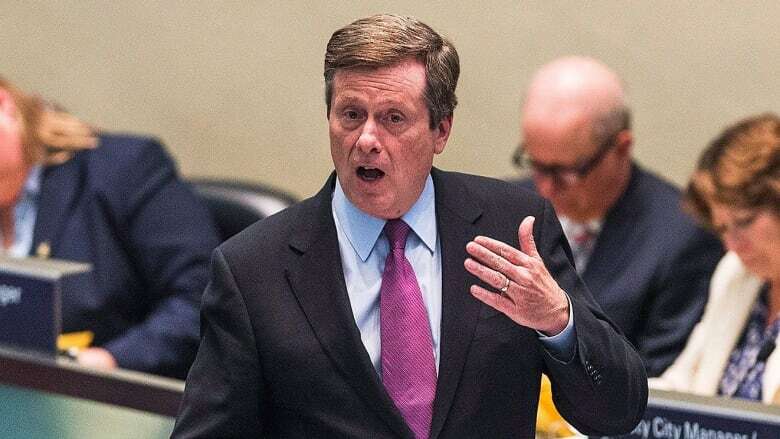 Mayor Tory defended that decision Monday, and rejected the suggestion that council would be voting on a diluted proposal, telling reporters: "I just think it's prudent to learn what we learn from the Bloor Street bike lane project before we go spending all kinds of money on similar streets." City council approved a pilot project implementing bike lanes on portions of Bloor Street earlier this month; those test bike lanes may be installed as soon as August. "[We're] doubling of the investment from $8 to 16 million a year in bike infrastructure in this city," Tory said. "That is more than any other mayor has spent on his or her watch going back. That is hardly a watering down." He called the bike plan "a historic, timely, much-needed investment" and said that he expected it would be passed by councillors. The Ten Year Cycling Network Plan will come to a vote at the next city council meeting, which begins June 7.